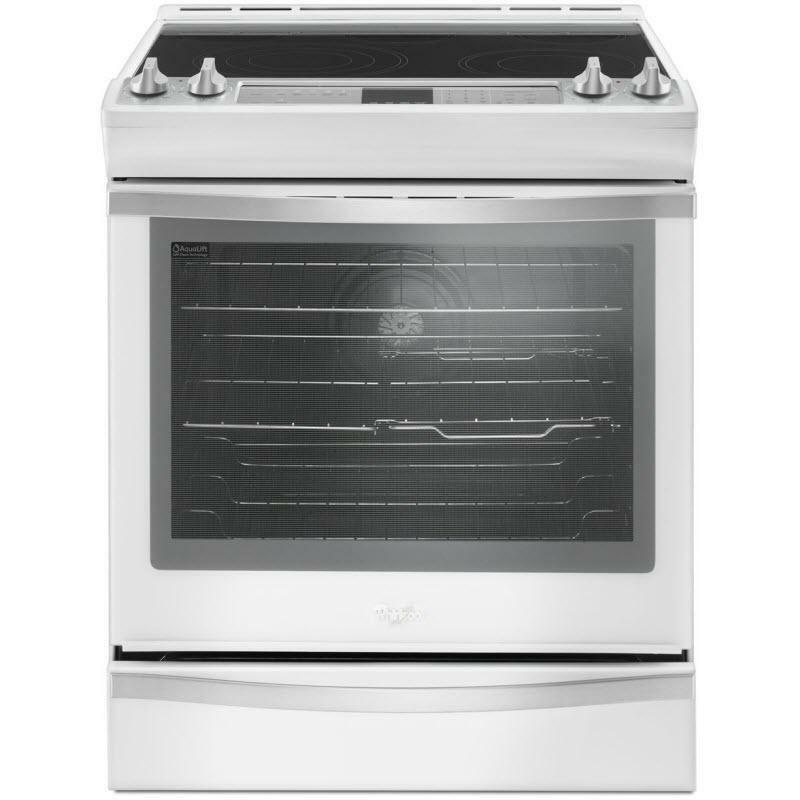 Take on family favorites with this Whirlpool slide-in electric range designed to fit your kitchen and your cooking. 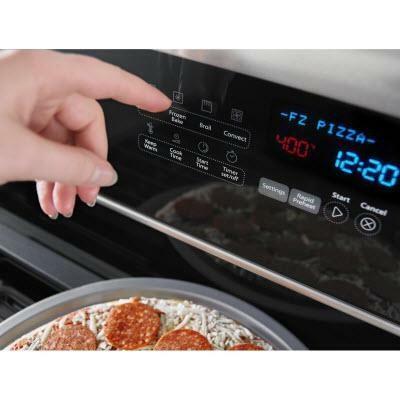 Frozen Bake™ technology lets you skip preheating for frozen dishes like pizza, lasagna, chicken nuggets, fries or pies. Cook food faster with the kitchen range's true convection cooking. Convection Conversion will do the math for you to adjust cooking times and temperatures. 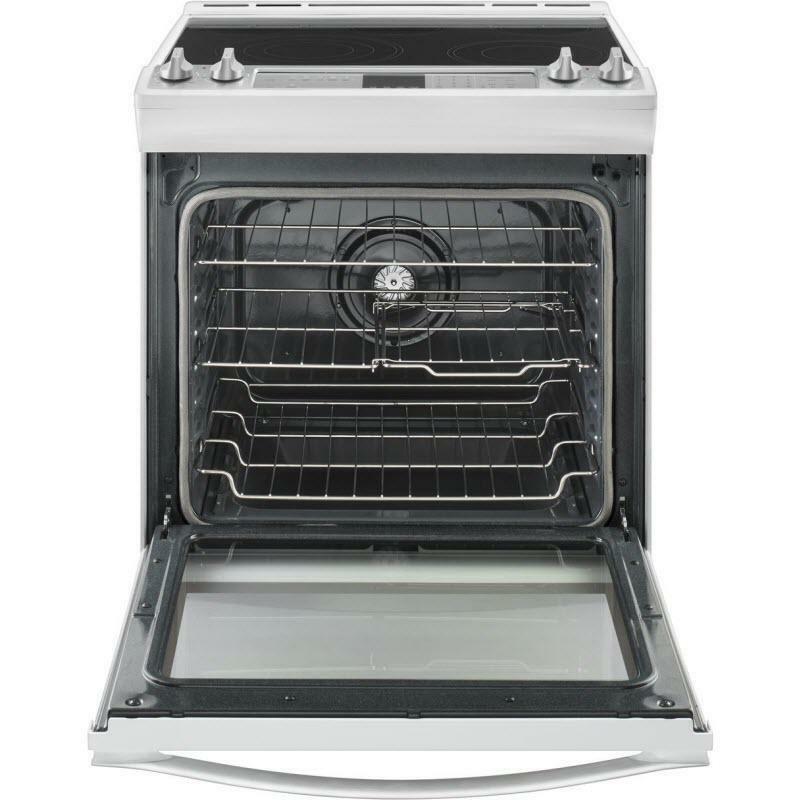 The FlexHeat™ triple radiant element is like having three elements in one to fit small pots and pans and make room for larger cookware on the range stove. Plus, when it's time to clean up, AquaLift® self-cleaning technology provides odor-free cleaning without harsh chemicals in only 50 minutes.